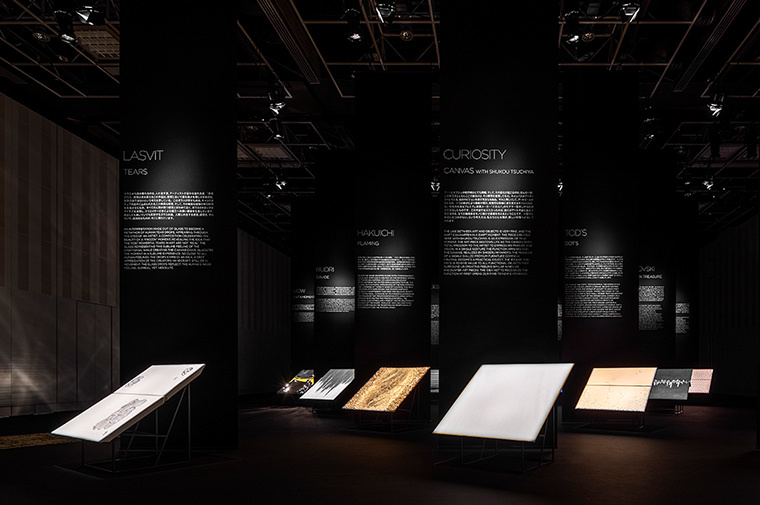 HOSOO was invited to participate in a commemorative exhibition of the 20th anniversary of design studio CURIOSITY, led by French designer Nicolas Gwenael. 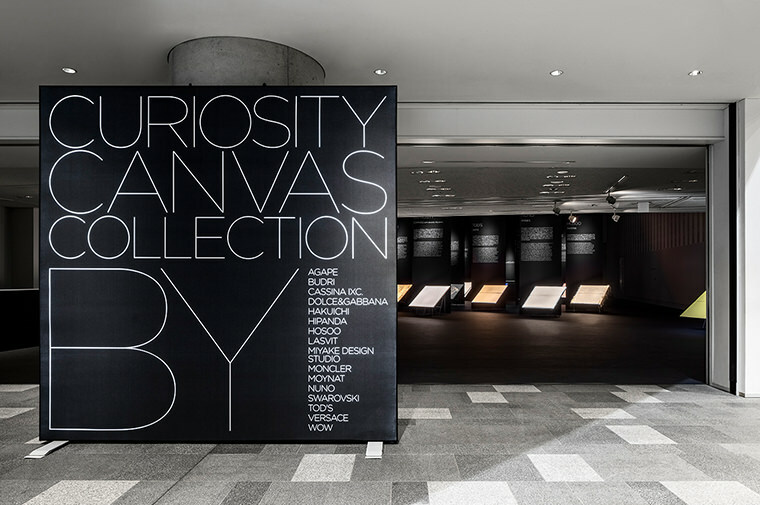 In this exhibition, showcased was Gwenael’s creation, “CANVAS CHAIR”—a work that “at first glance appears as a painting on an easel yet becomes functional as a chair when you sit on it”. 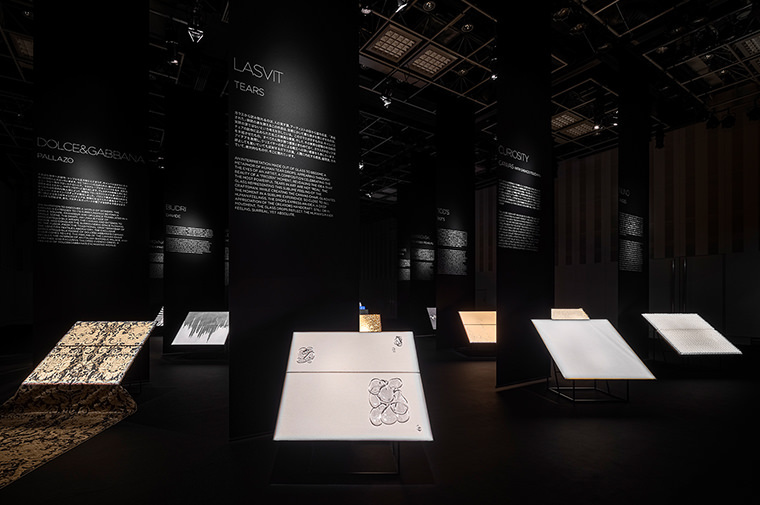 16 distinctive original designs were made specifically for this event by leading brands and creators; one of which was HOSOO’s “INVERSE”. 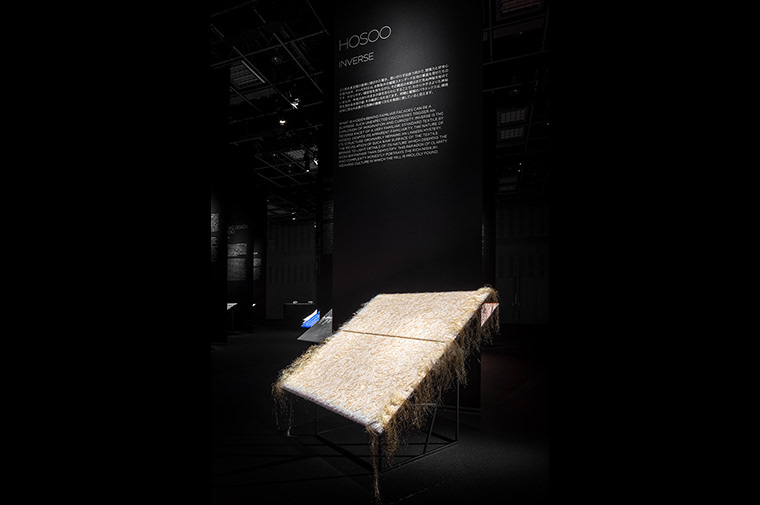 Here we exposed an ordinarily shrouded mystery within an existing fabric of HOSOO’s original collection: WAVE3. As the name implies, the back-side of the undulating façade of WAVE3 is captivating in its own right and its raw appearance reveals an intricate fabric architecture. 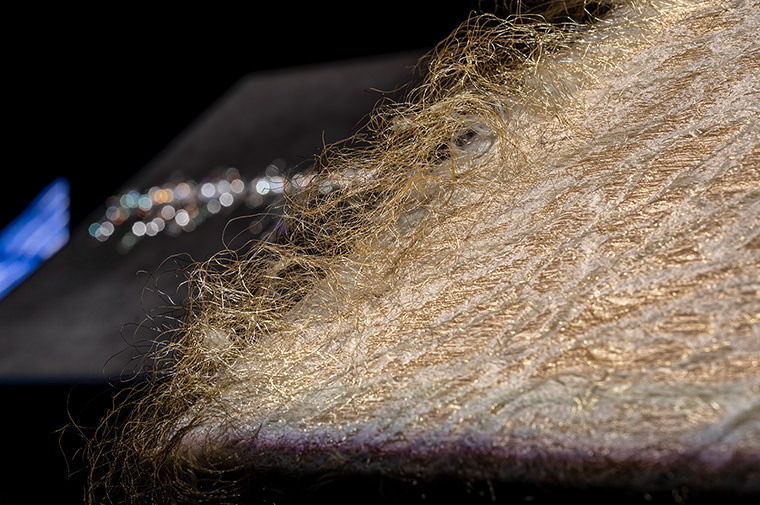 With an enigmatic air the fabric beckons the viewer, holding within itself the story and culture of Nishijin-weaving and emerging as an art piece.